For many athletes, sports injury treatment is not just a physical roadblock; it’s an emotional nightmare. Being sidelined from training is one thing; losing the fitness gains you’ve worked so hard for is another thing entirely. Add in a long, slow rehabilitation process, and it can be hard to stay optimistic – whether you’re a professional athlete or a recreational endorphin lover. In some cases (such as torn rotator cuff or bursitis of the knee), non-invasive and minimally invasive therapies help athletes get back in the game more quickly than they’d expected. 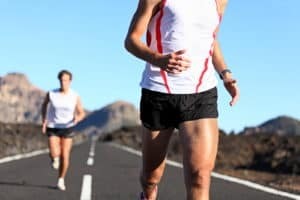 Platelet rich plasma (PRP) treatment and adult stem cell therapy are two particularly patient-friendly sports injury treatment options; both are associated with shorter recovery times than full surgeries. With this therapy, a physiatrist takes a blood sample from the patient, then isolates the platelets. Re-injected into the target site, the platelets can stimulate stem cell growth, in turn accelerating the body’s own healing process. PRP can initiate several forms of internal repair – such as bone regeneration and blood vessel development. Patients often note significant improvements in pain and related symptoms, as can regain most of their athletic function after PRP. Tired of postponing road races and athletic matches? Call us today. Our Board-Certified Physiatrist will help you evaluate our sports injury treatment methods to get you back to activity as soon as safely possible.